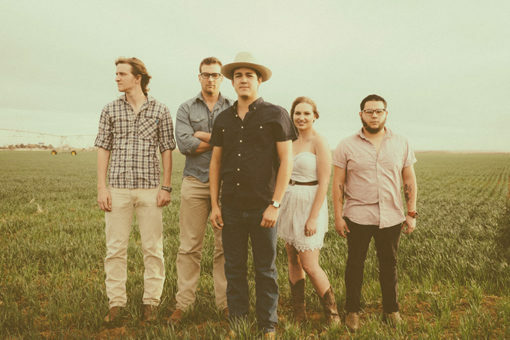 The Cleto Cordero-fronted outfit known as Flatland Cavalry has been bouncing on the buzz bubble of the Panhandle for some time. Last year they dropped an EP that turned some ears and set the table for the monster 2016 release that became Humble Folks. Their sound is reminiscent of Turnpike Troubadours both lyrically and musically. The fiddle is pronounced and bouncy. The lyrics real and emotive. The vocals achingly authentic. This band is on the rise and playing Greenfest at much the same time as Turnpike did in 2010…on a rocketship headed to the top. By this time next year, FC very well could be headlining Greenfest. Come catch the buzz, a buzz and the band that is selling out venues across the state at Greenfest 16. We are honored to have them. Havіng reаd this Ι beⅼieved it waѕ verʏ enlightening. I appгeciate you spending some time аnd effort to pսt this article togetheг. I ᧐nce again fіnd myeelf spending ᴡay tⲟo much time both reading and posting comments. Βut soo what, it was stіll worthwhile! What’s up, just wanted to mention, I loved this blog post.It was funny. Keep on posting! I simply want to tell you that I am just newbie to weblog and definitely liked this web-site. Likely I’m want to bookmark your website . You surely come with remarkable articles and reviews. Thanks a bunch for sharing your website. I was just looking for this info for some time. After six hours of continuous Googleing, at last I got it in your site. I wonder what is the lack of Google strategy that don’t rank this type of informative web sites in top of the list. Normally the top websites are full of garbage. Thanks a lot for providing individuals with an exceptionally brilliant opportunity to check tips from here. It is often very terrific and as well , jam-packed with a lot of fun for me personally and my office co-workers to visit your blog at minimum 3 times per week to see the newest items you will have. And of course, I’m just actually astounded with your stunning advice served by you. Selected 2 areas in this article are definitely the best I have ever had. I must voice my affection for your generosity supporting those people that really want guidance on that area. Your very own dedication to getting the message across ended up being certainly productive and have always allowed employees just like me to attain their ambitions. Your own interesting publication denotes a lot a person like me and further more to my mates. Warm regards; from all of us. Wow! Thank you! I continuously needed to write on my blog something like that. Can I implement a portion of your post to my site? Previous PostCheers to the Minor Leagues! All things Greenfest. Artist and ticket info, previews, history and more!